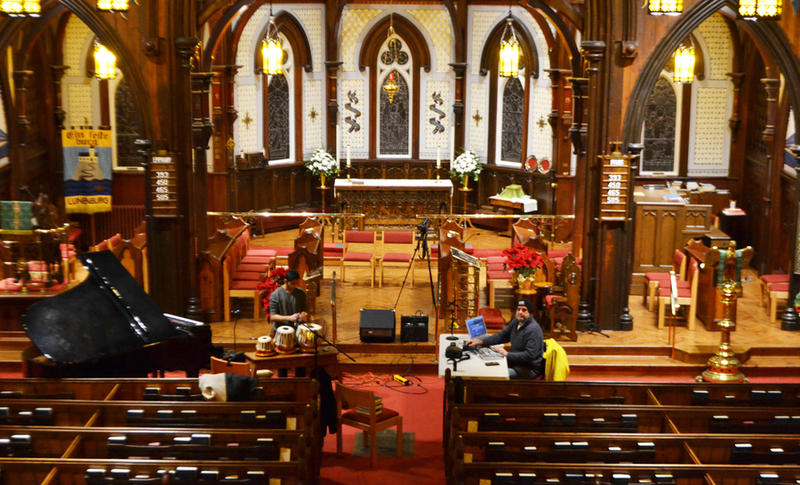 Last week, as the sideways-falling snow showed the first signs of a storm, two Lunenburg musicians were uncovering brand new sounds in one of the town&apos;s most historic buildings. Afraaz Mulji cycled from organ to piano to synthesizer while Steve Sim-otherwise known by his stage name Steb Sly-sent looped phrases of Mulji&apos;s playing back at him and bouncing around the room. 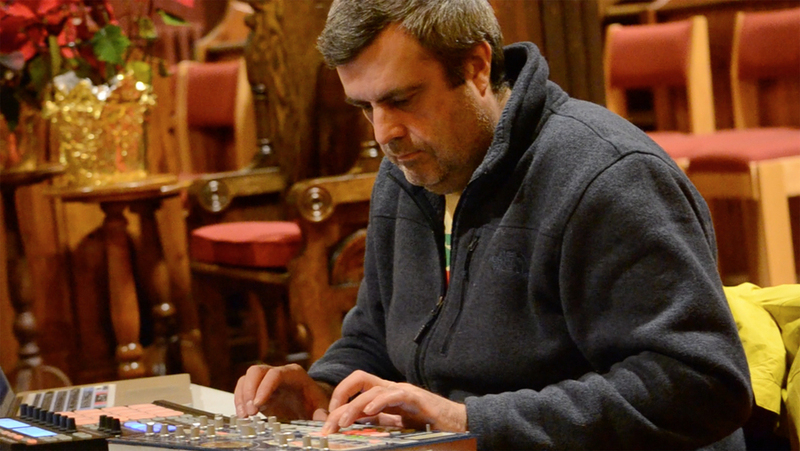 The two have been holing up in St. John&apos;s Anglican Church for the past month to collect sounds from their improvisational sessions. Back home, Sim is bringing those noises together to create and release a four-song sound collage. "It was just a desire that the both of us wanted to get outside our little boxes and try something different and experimental," said Sim. "What&apos;s awesome is like, there&apos;s a 30-year age difference between us, so we&apos;ve got these different energies that we can pull from each other. I can pull from his youthful energy, and he can pull from my experienced energy." The early results span from grimy dance music fit for the Blade Runner club scene to slow, meditative pieces reminiscent of Brian Eno&apos;s ambient work. But the experience of hearing those broken sounds come together is something else entirely, the aural equivalent of seeing a watermelon explode in reverse. 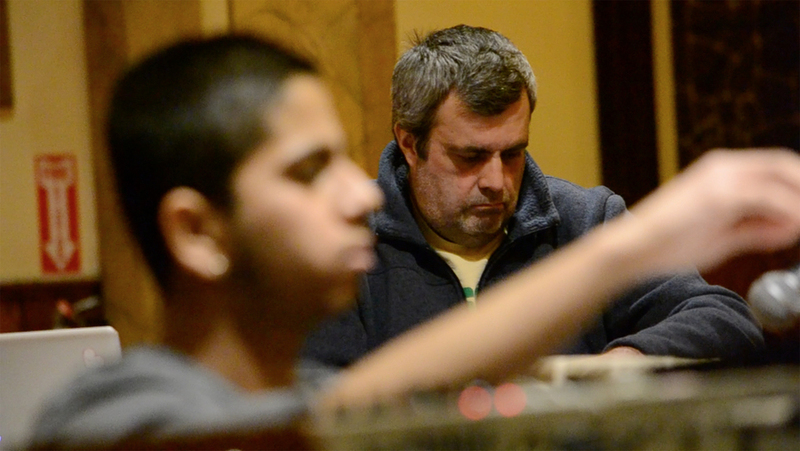 Sim has been creating electronic music for over 30 years, while Mulji, now in Grade 12 at Park View Education Centre, has been travelling and performing an array of classical music and jazz fusion since he was 13. The unlikely duo met through an article in this newspaper. 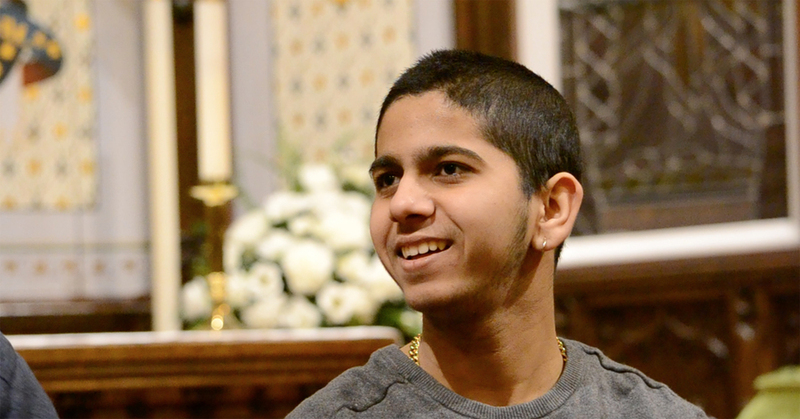 Sim contacted Mulji after he saw his musical journey from Tanzania to the South Shore chronicled in a story in November. 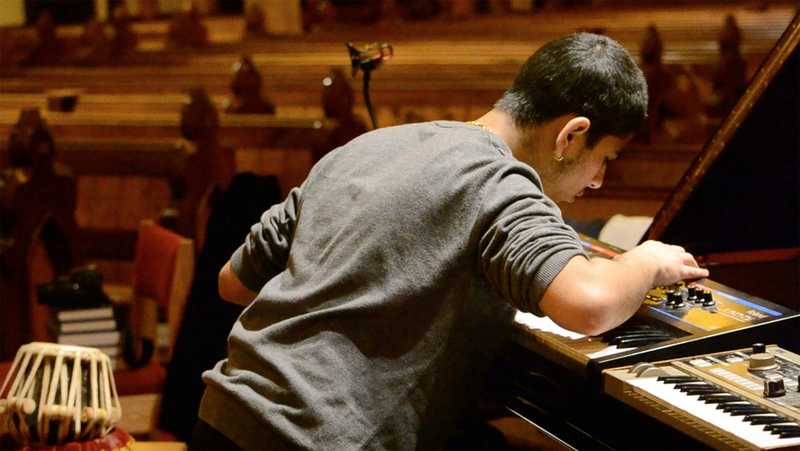 Sim&apos;s solo online improvisations were also the topic of a story last summer. They first met up at Sim&apos;s house to chat and jam, but by the end of that session they were both convinced there was more to explore. Mulji suggested they move the festivities to the church, where he&apos;s been practicing thanks to the support of Musique Royale&apos;s Barbara Butler. "It was interesting because Steve and I were both people who had eclectic taste and were open minded, and that&apos;s kind of what bound us together," said Mulji. "I listen to electronic music and house and hip hop and stuff, but I wasn&apos;t really into making anything that had to do with sampling ... I was more into over-dubbing and recording on actual instruments. That day when I jammed in [his] studio, I realized that there was a great meeting point where we could combine the two." Since then, the church has become another instrument at the musicians&apos; disposal. Their experiments have expanded beyond the performance to the placement of their equipment, checking out the acoustic effect of pointing an amplifier up toward the chancel&apos;s dome ceiling or recording from a distance with microphones on the church&apos;s balcony. Sim says playing with Mulji has brought him out of his comfort zone, forced him to change gears from his solo work to something more in the moment and collaborative. From Sim, Mulji has gotten a crash course in production. "He has that background as a producer and an engineer, and it&apos;s interesting. I&apos;m learning a ton about arrangement and sampling and production from being around this guy," Mulji said. Already the project has begun to take on a life of its own. They&apos;ve been streaming some of their sessions online, which has brought some attention to their work, particularly from other musicians in the area looking to get involved. For now, they&apos;re in no rush to find an end to this project. They&apos;re more interested in getting others involved and seeing how big it can grow. "The thing about this project is it&apos;s all improv, everything we&apos;re doing we&apos;re making up on the spot," said Sim. "We can have all these pieces that we&apos;ll have, and we&apos;ll just start putting them together. And like with a box of Legos, you can make anything."